Bournemouth’s Harry Arter has praised Pep Guardiola for the “unbelievable touch” of wishing him well with the birth of his child, which is due later this week. In December 2015, before the Manchester City manager had arrived in England, Arter and his partner Rachel’s daughter Renee was stillborn, prompting an outpouring of sympathy for the midfielder and his family. Guardiola was seen talking to Arter after City’s 2-0 win away to Bournemouth in the Premier League on Monday. 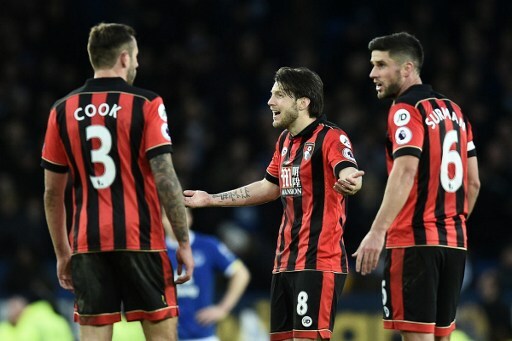 Explaining what the Spaniard had said to him, Arter told the Daily Echo: “He offered his best wishes for me and my partner this week, which was an unbelievable touch. “He is someone I have a massive amount of respect for. I watched his Barcelona teams, and look at his Manchester City side. “For me, he is the best manager in the world. I don’t think there’s anybody close to him and what he has achieved. Guardiola had previously relayed the details of his side of the conversation at his post-match press conference. “He (Arter) will be a father soon so I said big congratulations to him and his partner because I know what happened in the past, and, hopefully, the baby will be well,” said Guardiola. It's Kaizer Chiefs versus TS Galaxy in the final of the Nedbank Cup. Which team will win it?